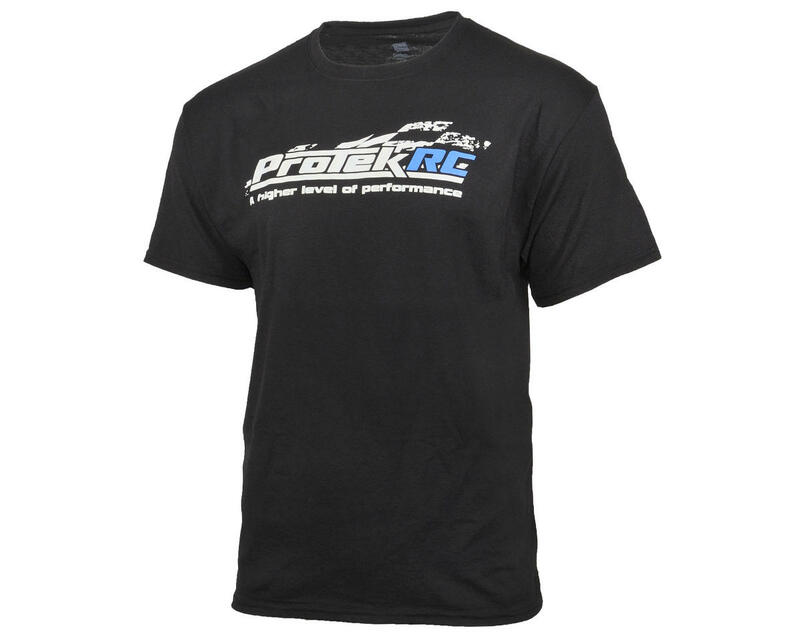 This is the ProTek R/C T-Shirt. Made from a 50% cotton and 50% polyester blend, this comfortable shirt is only available in black color, but offered in a variety of sizes. 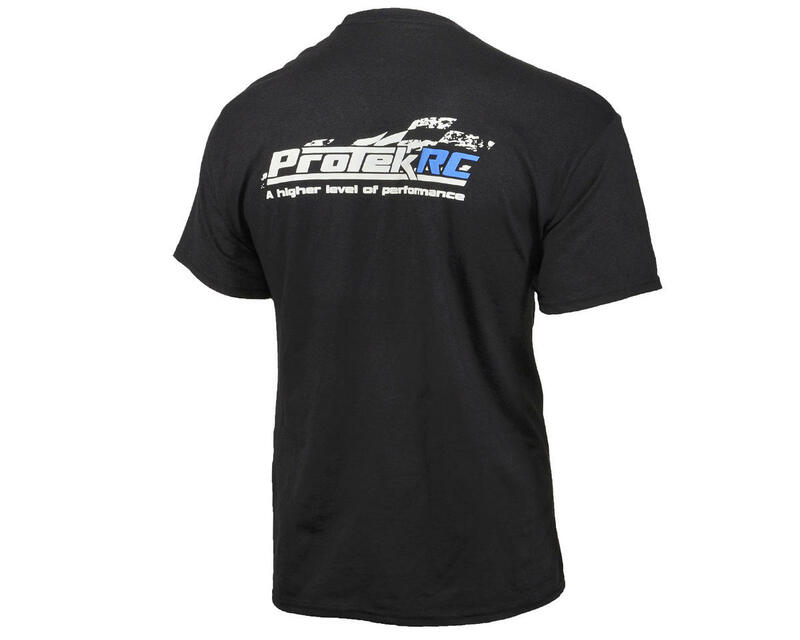 You'll find the ProTek R/C logo on the front and back, along with the ProTek R/C "Higher Level of Performance" slogan.